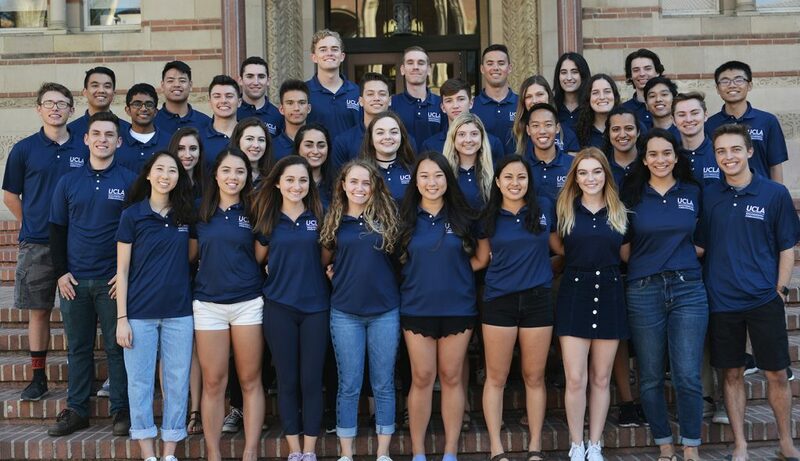 The Engineering Ambassador program is pleased to offer tours for prospective UCLA engineering students and visitors to explore the Samueli School of Engineering. Visitors will be able to tour the Engineering and Physical Science buildings and interact directly with current Samueli Engineering undergraduate students to learn more about the school and its programs. Each of the tours will last approximately one hour with visits to our student maker spaces (subject to availability), information about our over various engineering organizations, student-led projects, and the opportunity to ask questions about student life and the admissions process. Please click on the link below to sign up for a tour. Use the link below the sign-in boxes to create an account with our system. Note: Tours must be made at least 48 hours in advance, and at most 30 days in advance. a minimum of 5 days in advance. Tour groups larger than 10 people that are scheduled through the link for individuals or families instead of the above email may be cancelled if we do not have enough tour guides to accommodate the large group, so please request a tour by email. Please note that our tours are only available Monday-Friday. There are no tours on weekends, during Finals Week, University holidays, or campus closures. See the campus calendar here. Make sure to allot enough time to drive to the UCLA campus, find parking, and walk over to the meeting place in front of Boelter Hall. The tours will leave promptly at the listed time. NOTE: When creating a profile, please choose the LOS ANGELES TIME ZONE as all tour times and availability are listed in the local Los Angeles time.